The Japanese pincer operation against Java continued, and the invasion of Balikpapan went according to plan, despite the losses suffered by the Balikpapan landing force during the night attack of January 24. “Once captured, a secret airfield will become a fearful liability”, the Royal Dutch Navy had predicted not so long ago. And the capture of Kendari II proved the truth of their dire prediction. The field had been captured completely intact and operational and the 21st Air Flotilla (that had supported the landing operation from distant Menado), lost no time to send in a force of 30 Mitsubishi A6M Zeroes. The presence of these formidable fighters would further aggravate the already critical air situation around Balikpapan. In the meantime, ABDACOM had been desperately groping around for a follow up of the successful raid by US destroyers that night and had ordered a flight of 9 B-17’s to bomb the invasion fleet. They took off at 06.15 a.m. but when they reached the target area things were very different in the air. Once they were over Balikpapan, the flight was jumped by aggressive Japanese fighters. In the scrap that followed, three of the B-17’s were badly damaged. All planes dropped their bombs and scattered, hiding in the thick weather while they set individual courses back to Singosari, This is why Major Robinson, flying low over the Java Sea, was able to spot Dougherty’s marooned crew and their wrecked LB-30 on Greater Mesalembo Island. On January 25, a land battle quickly developed near Balikpapan. After landing the day before, some 5.500 men of the 56th ‘Sakaguchi’ brigade and elements of the 2nd Kure Special Naval Landing Force had been guided around the Dutch defenses by two ‘indigenous police officers’. And when these troops unexpectedly attacked, it was only a matter of time before they defeated the Dutch garrison force. To support the defenders, a flight of 8 B-17E’s left Malang at 07.00 a.m. (2). Arriving over Balikpapan they ran into very heavy fighter opposition and five out of the eight bombers were so badly damaged that they had to retreat and land wherever they could. Hobson and Northcutt made wheels-up landings in Madura, the island opposite Surabaya, Crimmins crash landed near Arosbaya on the Madura coast. Bohnnaker made an emergency landing at Surabaya Airfield and Hillhouse had to crash-land his badly shot-up plane at Banjermasin (west of Balikpapan). When the three remaining B-17’s returned to Singosari, one more was damaged at landing. Bombing results were again minimal and about the only positive news that day was the return of part of Dougherty’s crew after having been marooned for nine days at Mesalembo. However, 4 injured crew members had remained behind in the Surabaya Naval Hospital. On the 24th after the allied destroyers had gone, one [allied] heavy bomber came for an attack at 0812, which was followed by one [allied] flying boat at 0925, ten [allied] heavy bombers at 0950, seven [allied] heavy bombers at 1040, one [allied] flying boat at 1205, and eleven [allied] heavy bombers at 1710. On the next day, the 25th, ten [allied] heavy bombers came for an attack at 1000, which was [again] followed by seven [allied] heavy bombers at 1305, but they caused little damage. Bombers piloted by Hobson (41-2406), Hillhouse (41-2460), Northcutt (41-2468), Crimmins (42-2469), Bohnaker (41-2472), Teats (40-3070), Tash (30-3072), Parsel (40-3074). With the drive through Malaya toward Singapore – the western part of the Japanese pincer operation against Java –– now well underway, the eastern part of the pincer was set in motion. It was a drive down Macassar Strait, between Celebes and the east coast of Borneo, to capture the vitally important oil production centers of Tarakan and Balikpapan and to establish air bases within range of Java..
At 17.00 p.m. on January 21, the light cruiser Kana, 9 destroyers and a smattering of submarine chasers, mine sweepers and patrol craft left recently captured Tarakan harbour. They were escorting 18 transports carrying the Sakaguchi Brigade’s 56th Regimental Group and the Kure 2nd Naval Landing Force, both tasked with the capture of the strategically immensely valuable Balikpapan oil production centre. Stormy weather provided cover for the Japanese ships, but PBY’s from Patwing 10 and Dutch Navy Catalina’s found and shadowed them. And again, when this fleet was detected, it became clear that ABDACOM lacked the naval forces to prevent a Japanese invasion. The US bomber force was the only offensive weapon directly available and 5th Bomber Command was put under immense pressure. Things really heated up and from now on, there would be no rest, neither for the veterans nor the newbie bomber crews; they had to carry out strike after strike against the menacing Japanese invasion forces. On January 22 the first mission was carried out against the Japanese invasion fleet off Balikpapan. A mixed flight of the 7th and 19th Bomb Group took off from Singosari at 06.30 a.m. (1). They were routed through Palembang in Sumatra where they landed around 12.20 p.m..to refuel and bomb-up. Unfortunately, Lt. Hughes overshot the field and wrecked his bomber beyond repair. The eight remaining B-17’s went on and arrived over Balikpapan several hours later. They pressed home the attack, bombing from 14.500 ft., but as the area was covered by an 8/10th cloud layer, the results of the attack were uncertain. The flight returned unharmed to Palembang and, after staying overnight, the eight B-17’s returned to Singosari, leaving Hughes and his crew behind with orders to strip everything valuable from their wrecked B-17E (41-2419). Later that day, January 23, nine Dutch Glenn Martin B-10 bombers operating out of Samarinda II attacked the invasion fleet around 15.25 p.m. and damaged two of the transports (2). ABDACOM had ordered US Navy light cruisers Boise and Marblehead and destroyers Parrott, Pope, John D. Ford, and Paul Jones to intercept and destroy the Japanese invasion force before it could reach Balikpapan. But they were off to a bad start; their most powerful unit, the light cruiser Boise, almost immediately ran onto an uncharted reef in the Sape Strait and had to retire with a badly ruptured bottom. A little later, Marblehead, the other light cruiser, lost a turbine and had to slow down to a sedate 15 knots. Commander Paul H. Talbot decided not to tie his destroyers to the limping Marblehead and, taking the lead in his flagship John D. Ford, ordered his quartet of old four-stackers to make turns for 27 knots and set course for Balikpapan. They arrived shortly after 02.00 a.m. on January 24 and were treated to a grand spectacle. The retreating Dutch had torched and dynamited the Balikpapan oil-wells and refineries. To Talbots delight, the Japanese transports and other fleet units were sharply silhouetted against a blazing inferno that spanned the horizon. Attacking immediately with torpedoes and guns, Talbot took his little force into the first US Navy surface action since 1898, when Dewey took his Asiatic fleet into Manila. The sudden and totally unexpected attack caused great confusion amongst the Japanese. They initially thought they were under submarine attack and the Japanese escorts launched countless depth-charges and later even shelled each other in the wild confusion that followed. The last torpedo was fired at 03.45 a.m. and produced a definite hit on a merchantman. Out of torpedoes and low on ammo and with only minor damage to Pope, the four-stackers retired at 04.00, going to max revs and 32 knots. Alas, there were no Allied naval assets to follow up this effective action, apart from a single Dutch submarine – whose commanding officer had had a grandstand view of the action – and 4 American subs,. Erroneous information from ABDACOM had sent all Dutch fleet units on a wild-goose chase to the west of Borneo; USS Boise and Marblehead were limping back for repairs and the British were clearly too preoccupied with Singapore to even bother. Inevitably, the task of following up the destroyer attack and doing more damage to the battered Japanese invasion fleet was handed to the overworked US bomber force and the ABDACOM order-issuing machine groaned into action. (2) Tatsugami Maru and Nana Maru, The Nana Maru of 6,557 tons eventually sank. Tatsugami Maru made it to Balikpapan, anchoring with the rest of the invasion force. (4) Quotation from Japanese War Study “Senshi Sōsho”, Part 3, Chapter VII, pp. 358. When President Roosevelt learned of the FEAF’s massive losses on December 8, he immediately issued a Presidential directive to reinforce the Philippines. As a result, a total of 15 Consolidated LB-30’s and 65 Boeing B-17E’s would be sent off in a hurry to the South-West Pacific. The ferry project had been given the ominous sounding name ‘Project X’. And the ‘Straubel Detachment’ consisting of 15 bomber crews of the 7th Bomb Group under Major Austin A. Straubel, was chosen to deliver the first installment. As we have seen, Straubel and his crews spearheaded a steady trickle of ‘Project X’ bombers that kept arriving singly or in pairs or even trio’s via the African Route. The strength of the 7th Bomb Group gradually built up as more planes trickled in to Java over the next few weeks. On January 16, it was up to four LB-30s and six B-17s, all of them flown in via the African Route by crews from the 9th, 11th and 22nd bomb squadrons. And during the next weeks, more crews of the 9th, 11th and what remained of the 22nd Bomb or the 88th Reconnaissance Squadron would make their way to Java so that, by February 1, 1942, fifteen B-17E’s and four LB-30’s had reached Java. However, this build-up soon created serious problems. The continuing influx of bombers severely strained Singosari’s limited space and facilities. And then there was the spares situation or, putting it more bluntly, the general lack of everything. The crews of the 7th Bomb Group grew extremely possessive of their supplies, tools and rations. By the end of January 1942, the condition of the planes in both bomb groups was becoming a major problem. The older bombers were rapidly wearing out as a result of the persistent very heavy use and frequent battle damage. And when some of the newer ones arrived, they were badly in need of an overhaul after their 12,000-mile ferry flight. The unfamiliar LB-30 complicated the maintenance problems. It had its own peculiar problems for the mechanics to fix and its specialized spares added complexity to the already difficult logistics situation. On top of this came the overcrowding; the few mechanics servicing the increasing number of 7th Bomb Group planes at Singosari had to share a single large hangar with the Dutch (who still had some of their antiquated B-10’s in there), as well as with mechanics of the 19th Bomb Group, who were trying to patch up their bullet riddled B-17’s. A lot of work had to be done outside. There was not nearly enough ground crew; helped by the combat crews wherever they could, the few trained mechanics present worked very hard during very long hours and on very little food. They had to work with tools both inadequate for the job and insufficient in number. There were almost no spare parts; those with which the planes had left the United States had all too often been used up along the way. It is a tribute to the dedication of these men that they kept the bombers flying, despite the fact that they quite frequently went without sleep. Their living conditions in Yogyakarta were a Spartan minimal to say the least, quartered as they were in an old monastery. And it was hard to find any western-style food or recreation during their scarce off-duty hours in a city where the population was 90% native Indonesian and predominantly Muslim. Ever mindful of what had happened at Clark Field, the Philippine veterans were worried about this dangerous concentration of all American bombers at one field. The latter argument made good sense and, after a brief site inspection, it was decided to move the7th Bomb Group to Yogyakarta, 150 miles west of Malang. 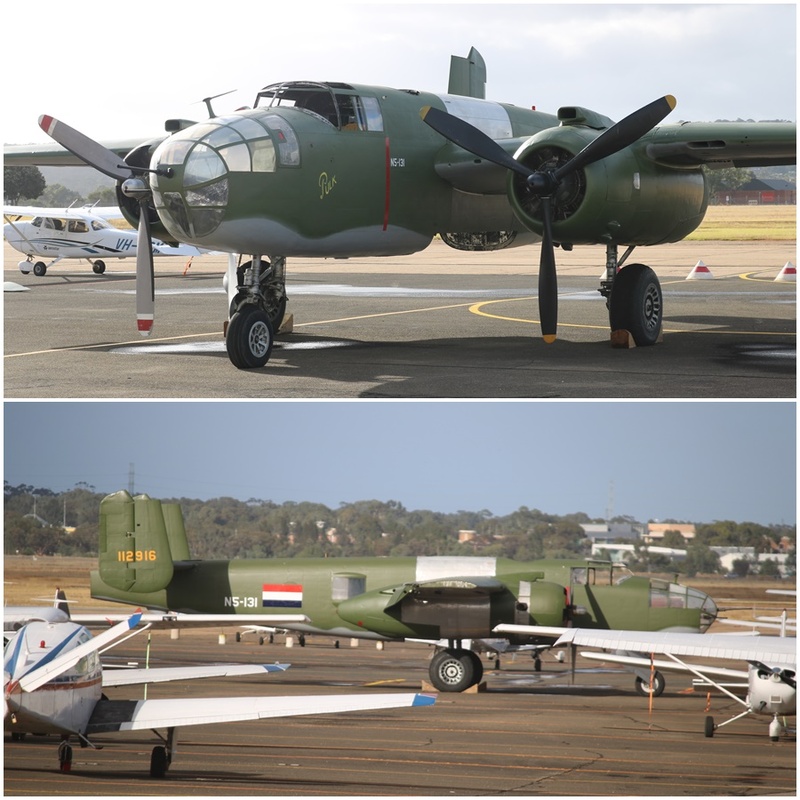 The first of the 7th’s ground crews arrived at Yogyakarta on January 21 and from then on, the bombers of the 7th re-deployed in groups of two and three to their new ‘official base’. But the field was a disappointment after Singosari; it was still being enlarged and its two way grass runway became very soft in tropical rains. And it rained each afternoon. But the airfield and maintenance difficulties were nothing compared to the problems of command. What befuddled the local situation right from the start was that Major Austin A. Straubel and Lt. Col. Eugene Eubank didn’t see eye to eye. Straubel was – at that time – the 7th Bomb Group’s ranking officer and CO of the 11th Bomb Squadron’s Java detachment. Eubank not only commanded the 19th Bomb Group but also was CO of 5th Bomber Command. Soon the question arose whether or not the crews of the 7th Bomb Group were part of and subordinate to 5th Bomber Command. This situation was exacerbated further by the attitude of Eubank and the rest of his 19th Bomb Group, whose ‘up nosed’ air of superiority soon irritated all ‘newcomers’ and caused friction right from the start. It was not a good beginning of what turned out to be the first American bomber offensive of the war. To all my readers and followers: due to personal reasons it has been a long time since I posted the latest installment in this series. But now I have taken up the thread again and will complete this awesome and tragic story. The sudden Japanese strafing attack on Kendari II had made it clear that the Dutch ‘secret’ fields were no longer secret; they were in fact becoming far too vulnerable. The alternative was to mount direct ‘shuttle missions’ from Malang to Del Monte. This would allow for two-way bombing of targets between Java and the Philippines. An additional advantage of this kind of shuttle operation was that ammunition could be carried into Mindanao on the way out, while some of the 19th Bomb Group’s experienced personnel, now marooned at Del Monte, could be evacuated to Java on the return flight. The downside of this scheme was that a mission would mean a 1,500-mile flight in each direction, over strongly held Japanese areas and through an unpredictable equatorial front. Yet, after much head-scratching, 5th Bomber Command Okay-ed the proposal and Lt. John B. Connally, one of the 19th Bomb Group’s veteran pilots, led a flight of 9 B-17’s on the first shuttle mission from Singosari to Del Monte. His orders for the outward leg were to bomb Japanese shipping around Jolo. (1) Three of the bombers had to turn back with engine problems (2), but the remaining six fought their way north through severe thunderstorms. They had a go at Japanese shipping targets near the island of Jolo in the Sulu Sea, roughly halfway between Mindanao and Borneo. Landing safely at Del Monte by the end of the afternoon, they reported hits on a tanker and what they thought was a cruiser. Early next morning, Connally’s B-17’s were all bombed up and the flight took off for the ‘return shuttle’. Bad weather made bombing of Jolo or other targets impossible on the return trip. 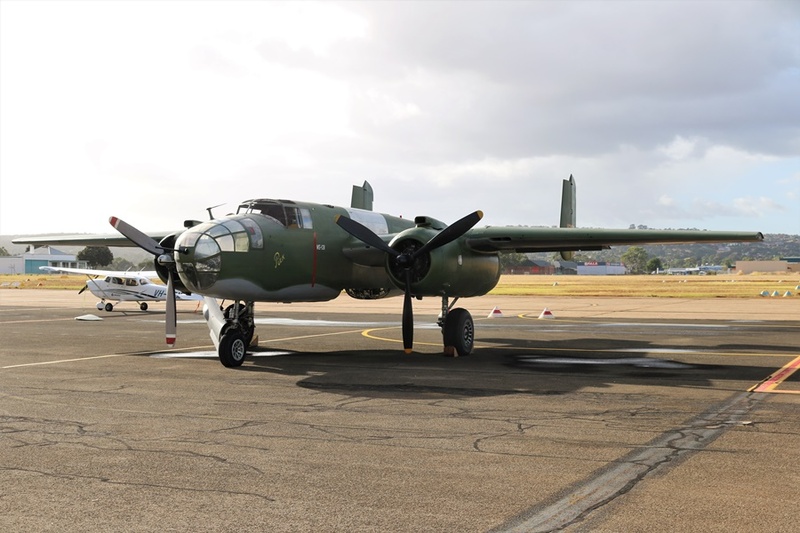 However, when the bombers touched down at Singosari around noon, 23 officers and men of the 19th Bomb Group jumped out of the various bombers, glad for the chance to be evacuated from Mindanao. Monday January 19, 1942, sure was a busy day for the 7th and 19th Bomb Groups. Staff Sgt. Wise (19th BG) and Tech Sgt. Harvid Sager (11th BS) were taken by a Patwing 10 PBY to Macassar to help salvage as much as possible from Basye’s wrecked LB-30. The same PBY returned to Surabaya with Basye and part of his crew (3). To help Wise and Sager strip essential equipment from the downed LB-30, 2nd Lt V.D. Pocnic (co-pilot). T/Sgt FE Paul Flanagan and gunner pfc Robert F Graf remained at Macassar. At a quarter to ten in the morning, a flight of three additional B-17E’s reached Singosari with Major Stanley K. Robinson, the commanding officer of the 7th Bomb Group at the controls of B-17E 41-2456. And on that same day, news arrived that the ground echelons of two squadrons of the 7th Bombardment Group had left Australia for Java; finally, more help was on its way. 1st Lt. Basye, 2nd Lt. D. Skandera (Navigator) and S/Sgt Roy J. Wilhite (bombardier). Oldfield and Chopping were still in a Macassar hospital.